Provided in a black jewellery box. Cufflinks are made from a white metal. They have a soft rubber padding on the printed area to protect from damage. Men’s Medical Cufflinks with Medical Symbol. Ideal for the Medic that has everything. 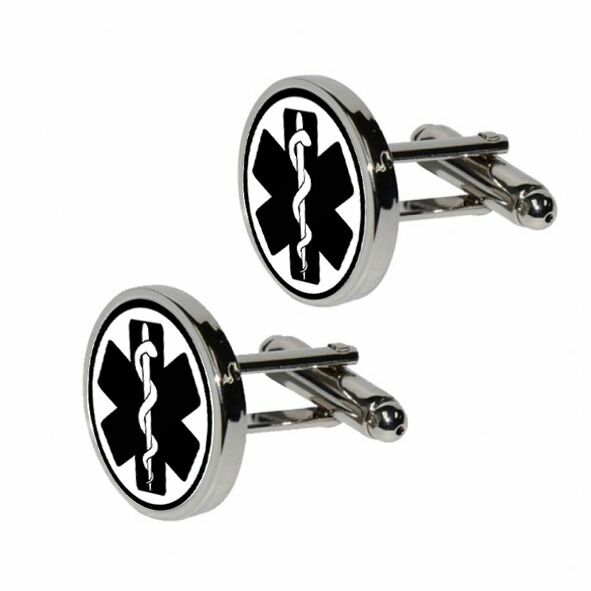 The symbol on the front of the medical cufflinks is the Rod of Asclepius on the star of life. This is used by emergency services around the world. It helps to avoid the confusion of using the red cross. 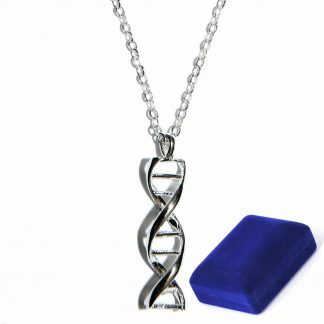 The medical cufflinks come in a black jewellery box. You will receive 1 pair of medical cufflinks. Both are printed on an circle background. These are printed to order by us. If you know someone who has just graduated from medical school or any other medical profession, then they will love these medical cufflinks. Great to show off at some of the many events they will be invited to after graduation. 1 x Black jewellery box containing a pair of medical cufflinks. These cufflinks are made from a white metal. They have a printed area with a protective lip around the side to prevent damage. T-Bar fixture. Please note this set of cuff links should not be used as medical devices. Medinc would like to confirm that these cuff links will not provide you with medical super powers. If you are considering using this item as a medical devise please seek medical or psychiatric assistance immediately. If this is a gift then we have some fun medical and science designs of Gift Wrap to wrap your gifts. This pair of doctor cuff links is part of our Science Jewellery collection where we also have Stethoscope cufflinks.